Man I need a spare SD card! Today I flew in the morning (Cold) and got some nice pictures and some video of a Coyote although I did not know I was filming it until I got home so it was from 165 feet so just a little guy at the height. This afternoon I went out again to fly a couple packs and forgot my SD card in the card reader. I missed out on some crows and a nice Red tail Hawk soaring. What is a good SD card these days? I have a 32g Samsung Evo now that I believe is 48bps. Depends on the price you are looking at. THe lexar 128gb micro sd 633x works legit. The card did mess up out of nowhere, but the company replaced it for free. 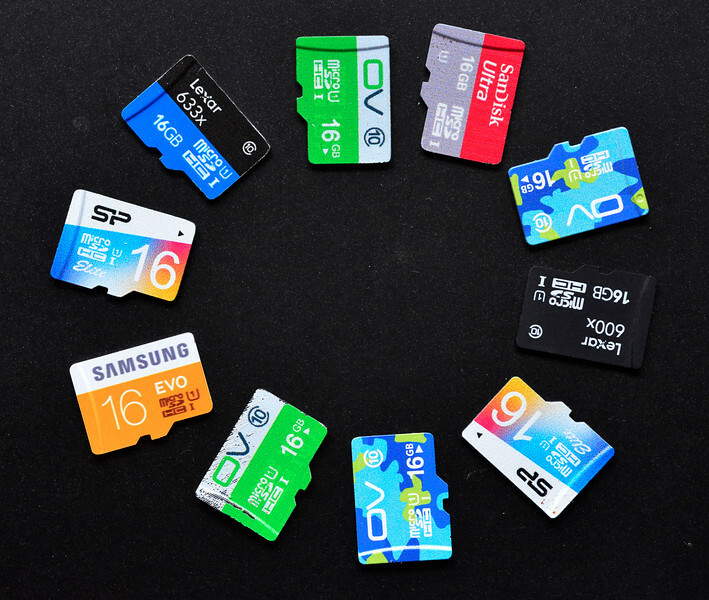 Be aware that there are a lot of fake Micro sd cards on ebay/amazon, so make sure your source is legit in case you need to use the warranty. Thanks for the tip. I had no idea that there was a issue with fake SD cards. Man the prices have dropped since I bought mine. I think my 32gb was $60. What is a good SD card these days? I have a list of memory cards that work well here. Everyone needs a few spare cards. You always want to have extras in the bag in case you leave one in the computer at home. A bunch of 16GB cards makes more sense than one huge card. Now that is a good idea. I have a number of 4,16 and couple 32g cards but none of them are class 10. The only one that is class 10 is the Samsung Evo. Great card for what I was using it for. Size of the card doesn't matter if your going to leave it home. For use in the Phantom, forget the cards that are less than Class 10. You don't need to have the fastest/most expensive cards as the Phantom doesn't write very fast. look at the b&h website. they usually have very good deals. just make sure you get class 10 or better. Stick with Samsung. ... super reliable and super fast. I run 32 GB Pro + .. should be able to get em local for under 30. Micro Center runs them on sale for $22 ... I'll probably get some more come black friday..
B&H has the Pro (Not in stock in 32g) for $20.95 free shipping. The 16gb Pro's are $13.99 in stock. Seeing I only have the P3A and film in 1080 I don't need a 32gb unless I film 4-5 battery packs. I think the 16's will do nice but I do plan to either upgrade my camera or get a P4 or Mavic and a larger card may be needed? ....It does support 128gb though, or at least the lexar 128gb 633x uhs-1. Can't seem to find that anywhere? The Samsung Pro U3 seems to have some good specs and they are durable. I thought 64gb was the limit? I tape a spare 8g/16g to the controller. Worse case scenario, take the spare SD out of your iPhone... lol. Some of the androids I mean. I keep a couple in a SD card holder in my phantom bag just incase.